Sherry FitzGerald brings No 41 The Bailey to the market for sale by private treaty. The Bailey is a highly regarded development of semidetached and detached homes, located just off Circular Road, one of Galway city’s prime residential addresses due to the low density nature of development in the area and its ease of access to the city centre, NUIG, and UHG. No 41 is a three bed detached bungalow which has been owner occupied since it was built by Cunningham Developers in 1993 and has been lovingly cared for by its current owner ever since. It benefits from having a large living room to the front of the home, with kitchen/dining room at the back, three bedrooms, one en suite, and a main bathroom. There is a detached garage to the back of the house measuring 130sq ft which is wired, plumbed for the washing machine, and contains an oil fired radiator. The BER is D2 on BER cert no 103552667, with an energy performance indicator of 267.8kWh/sq m/yr. 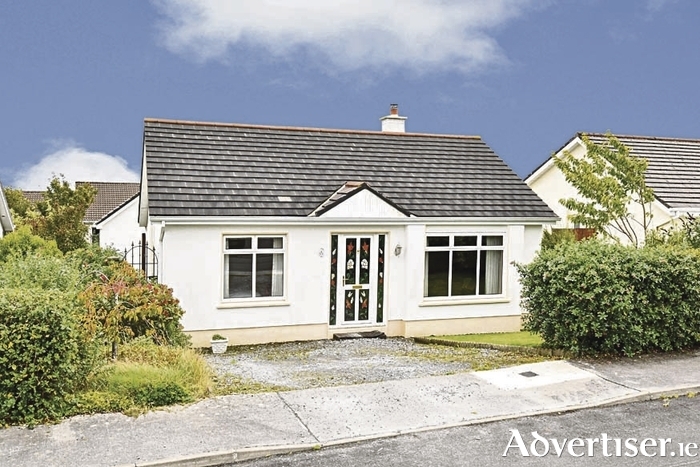 With an asking price of €310,000, this modern family home is ready to occupy and would be ideal for first time buyers looking to get on to the property ladder or indeed for those looking to downsize to a more manageable home in a sought after settled location. Viewing is recommended.